Kingston police have laid murder charges against two more people after a man was shot to death at a local hotel — including the man's ex-wife. Jean-Guy Vincent, 39, was staying at the Kozy Inn on Princess Street on Sept. 5 when he was shot to death. Aaron Lewis, a 19-year-old Ottawa man, was arrested shortly afterward and charged with second-degree murder. On Friday, Kingston police said they'd charged two others with first-degree murder: 21-year-old Logan Lewis and 41-year-old Shannon Vincent. Shannon Vincent, also known as Shannon Ainsworth, was the victim's former wife, said Det.-Sgt. Jay Finn with the Kingston Police Service. "They were married, but they'd been in an on-again, off-again relationship for the past ten years or more," Finn said. "He, the victim, was the one renting the room. She was staying there, as well as at other units." Logan and Aaron Lewis are brothers, he added. 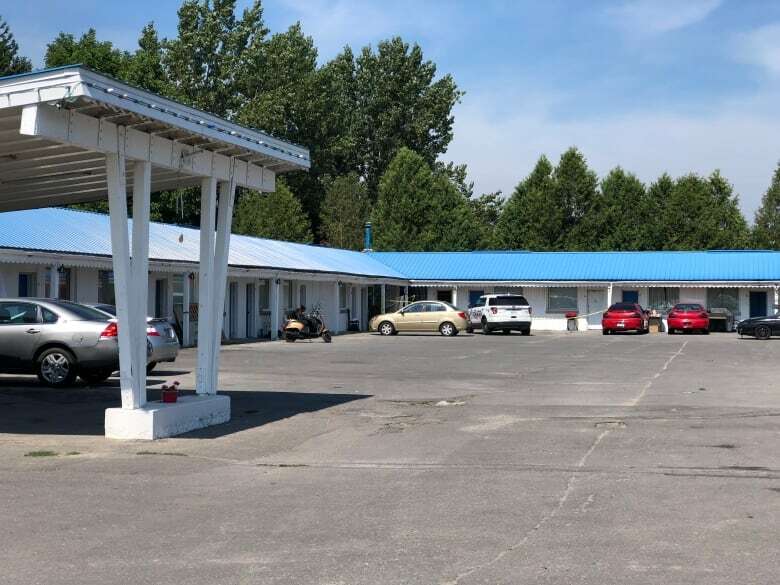 All four had been staying at the Kozy Inn at the time of the homicide. Drugs and alcohol were "involved that night," Finn said. Logan Lewis was arrested Thursday at about 2 p.m. near the intersection of Portsmouth Avenue and Churchill Crescent, police said. Shannon Vincent was arrested at Kingston Police Service headquarters at about the same time after coming in to be interviewed, Finn said. In addition to the charges of first-degree murder, the pair are facing charges of conspiracy to commit murder and various weapons-related offences, police said. Finn also said that the second-degree murder charge against Aaron Lewis would be upgraded to first-degree murder. With files from Trevor Pritchard.